We are proud to offer a wide range of school clubs and extra curricular activities at Hill View. From Basketball to Gymnastics to Morning Club, there is something to suit every child’s requirements. The majority of our clubs are free or low cost too. Our clubs run according to demand, season and are subject to staff requirements. The clubs listed below are intended to give an overview of what we offer throughout the year. If you are a working parent and require regular childcare we are able to offer sessions from the end of day – 3:15/3:20pm until 5:30pm – at a cost of £8.00 per session. To enable us to support all of our parents, we are also able to offer sessions on an ad-hoc basis where we are happy to accept a one-off booking, even at short notice. 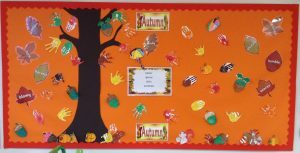 If we can be of assistance, in any way, please contact Julie Finn, After School Childcare Supervisor on 07748557464. Why not give it a try on a one off basis – what could be easier for your child then to transfer from class straight into After School care? Fit n Funki takes place on Friday lunchtimes. Beth Logan comes in on Mondays, Tuesdays and Wednesdays to hold dance clubs after school for our children. For more information, please come and catch her for a chat after school on a Monday, Tuesday or Wednesday. There is a small cost to Badminton Club, which runs before school on Mondays (Y3/4) and Tuesdays (Y5/6). For further details, please contact the office. New for 2018 is the Dodgeball club. Professional coaches come in to school to run this club, where children gain agility, hand-eye coordination and team work skills. Please contact the school office if your child (Years 3-6 only) is interested in joining. Karate club is hugely popular, and is often fully booked. As classes are on a pay as you go basis, space will occasionally become available. A consent form will be required. Please contact the school office if your child would like to sign up or be placed on the waiting list for a space. You can also contact the Sama Organisation directly at sama.organisation@outlook.com. JSC come in to run exciting sports clubs with professional coaching. To book in to these, please visit the JSC website here. Encouraging children to get involved in Science, Technology, Engineering and Math (STEM) subjects is very important. After school on a Wednesday, Mr Ward has organised STEMKids to come in to help construct some amazing projects including balloon powered cars, vibrating bugs, helicopters and slime. There is a cost to this activity. Places are limited and have filled up extremely quickly. To register your interest (and book a space or get on the waiting list) for future STEMKids clubs, visit their website here. Sandra Ramirez Guillen now offers weekly Spanish lessons after school on Wednesdays. If you would like to sign your child up to these lessons, please collect a form from the school office and make payment directly to the Spanish club. Please see the office for more detailed information. Older children, staff and volunteers often hold sports clubs during the school day. Children are able to sign up for these internal clubs in school. These clubs change throughout the year, but have included Netball, Football, Rounders and Athletics. Football teaches cooperation and team work, helps develop positive social skills and teaches respect for others. It helps build self-confidence, a positive self-image and self-worth. It enables a child to improve upon and develop a broad range of motor skills like throwing, catching, running, kicking, balance, agility and coordination. We often see children take the initiative to start their own clubs. We provide as much support as possible to allow these to happen, and they often have amazing take-up. We also have plenty of clubs run by members of staff. Again, these internally led clubs run on an on-demand basis, and change regularly. Popular in school clubs have included the Choir, Match Attax Club, and the EcoWarriors. 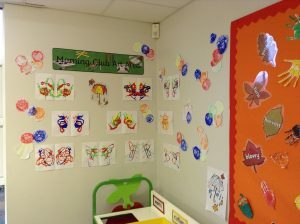 Children sign up for these clubs in school, and are encouraged to make their own decisions about what to get involved in.